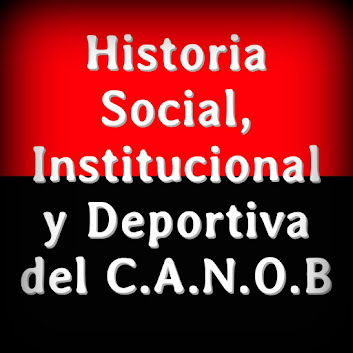 Newell's Old Boys Athletic Club (Rosario, Argentina) was founded on November 3, 1903 by Claudio Lorenzo Newell. His father, Isaac Newell (who had been born in Strood, England) was the pioneer of Argentine and South American football as he introduced the first official rules (1884) and the first ball. 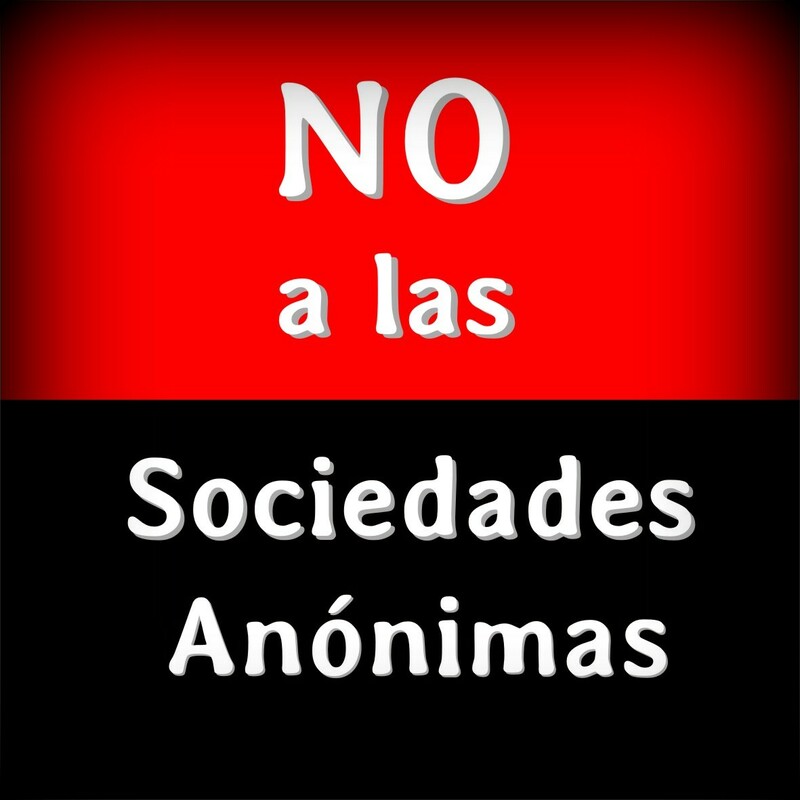 These were used in the Anglo-Argentine Commercial School, which he had founded together with his wife, Anna Margaretha Jockinsen. 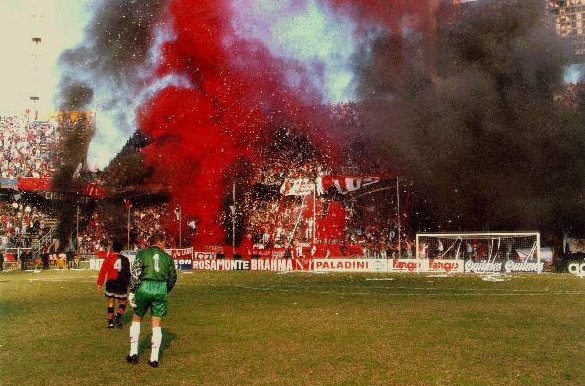 Newell's Old Boys was founder or the Liga Rosarina de Fútbol (the local league), being its first champion in 1905 (winning leagues and cups 17 times). 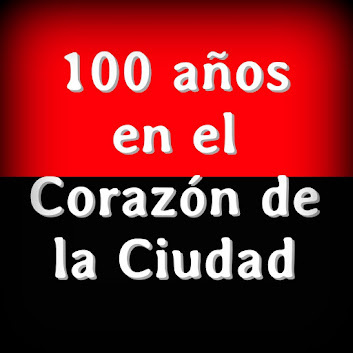 In 1911 y 1921, Newell's won two official cups from the Argentine Football Association (Copa de Honor and Copa Ibarguren). During the 1920s, its fans were given the nickname "leprosos" (leppers) after the team accepted to play a derby in aid of people who suffered from leprosy. 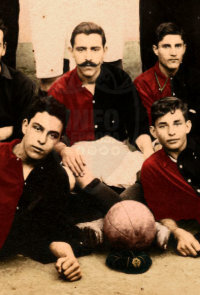 In 1925, Newell's Old Boys became the first South American club in transferring a player to Europe: Julio Libonatti (to the Torino FC). 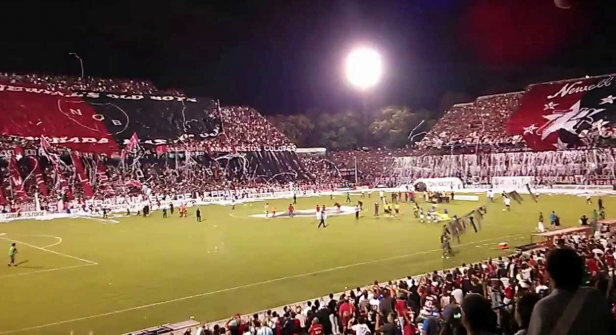 In 1929, Newell's built in its stadium one of the first concrete-roofed sections in South America. During those years, several unforgettable matches took place: the most memorable were Newell's against Real Madrid (4-0), Bologna FC (2-1), Torino FC (2-0) and a draw with the Brazilian national team (2-2). 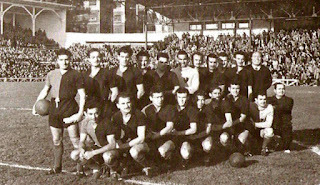 In 1939, the club started to participate in the League tournaments of Argentine Football Association. During 1949 and 1950, Newell's took part of a successful European tour and won important matches against Athletic Bilbao (3-1), the Spanish national team (4-1), the Colombian Combinado Benfica-Sporting (5-0), Rot-Weiss Essen (2-0) and FC St. Pauli (4-1). 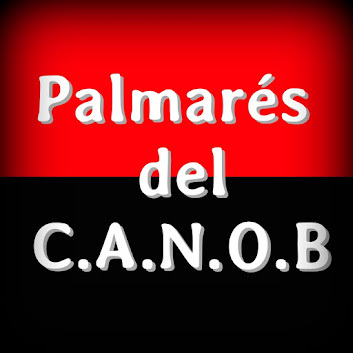 It also ended a long unbeaten sequence of the Combinado de Amberes (3-2), among other results. During the 1950s, Newell's played in Rosario against F.K Partizan (4- 0) and Malmö F.F (4-1) and in 1955 it went back to Europe where it beat Shalke 04 (3-2), S.K Rapid from Vienna (3-2) and Olympique de Lyon (3-2), among others. From the 1970s, Newell's achieved more important results in Argentina, playing an important role in 7 Leagues of the Argentine Football Association (1974, 1988, 1990, 1991, 1992, 2004 and 2013). 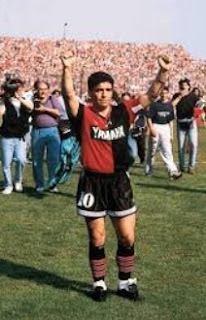 In 1993, Diego Armando Maradona wore the official Newell's shirt. Newell’s fans will always cherish this moment. 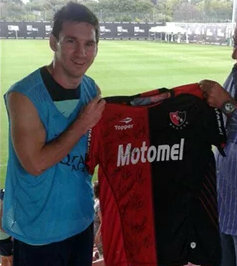 Newell's supporters are recognized worldwide as passionate and intense. In 2004, they set a record when 40,000 of them travelled to the city of Avellaneda (186 miles away from Rosario) to see the final match against Independiente. Before each derby, fans get together in the Stadium to encourage the players during the last training session the same way they do in the official match. This event is called "banderazo", as the fans take their red and black flags. The club contributed with a great number of players and coaches such as Lionel Messi, Marcelo “Loco” Bielsa, Gerardo “Tata” Martino, Gabriel Batistuta, Julio Libonatti, Eduardo Berizzo, Mauricio Pochettino, Jorge Valdano, Roberto Sensini, Abel Balbo, Walter Samuel, Gabriel Heinze and Maximiliano Rodríguez. 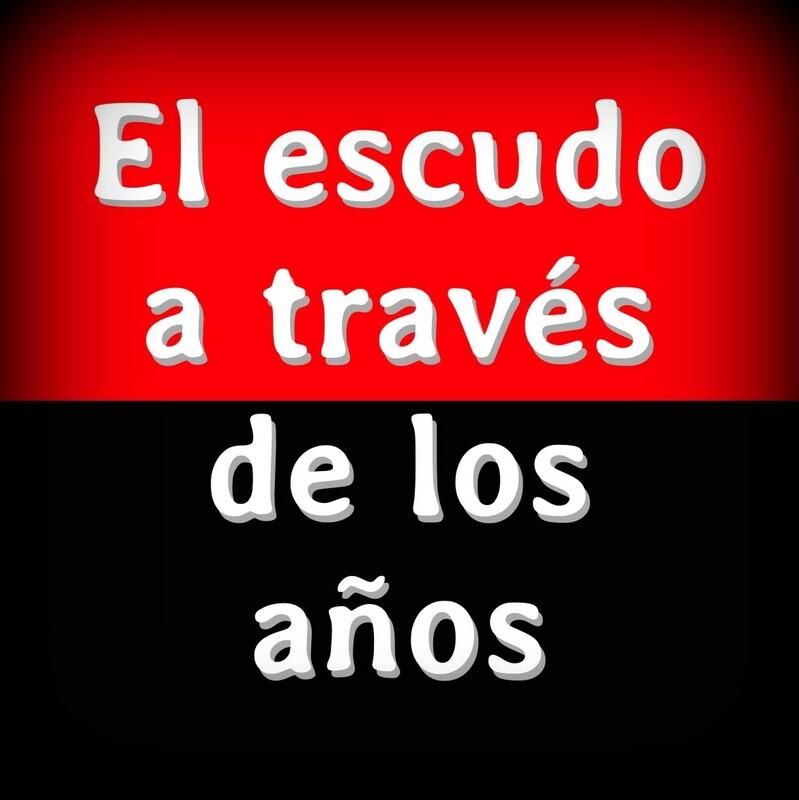 Newell’s Old Boys has won 28 official tournaments all together, including the above-mentioned AFA leagues. 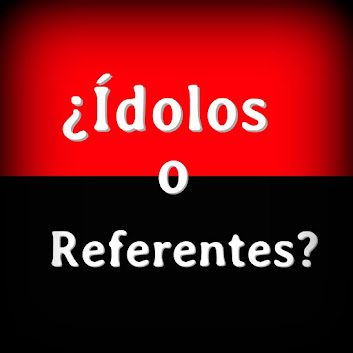 Moreover, the team played the final match for the Copa Libertadores de América twice (1988 and 1992). 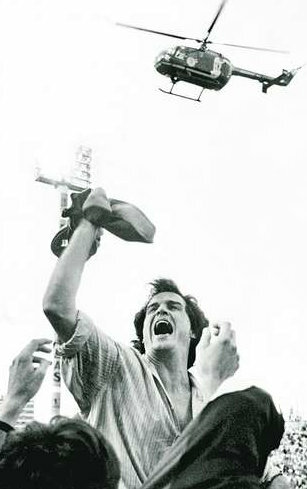 The stadium, which has a capacity of 40,000, was renamed to "Marcelo Bielsa" in 2009 and it known as "El Coloso del Parque" (Colossus of the Park). Nowadays, both a street and a town square in Rosario are named after Isaac Newell and another street is named after his son, Claudio. Celebrating a championship in the old stadium.